El Museo Latino offers educational programs in conjunction with the special temporary and permanent exhibits. 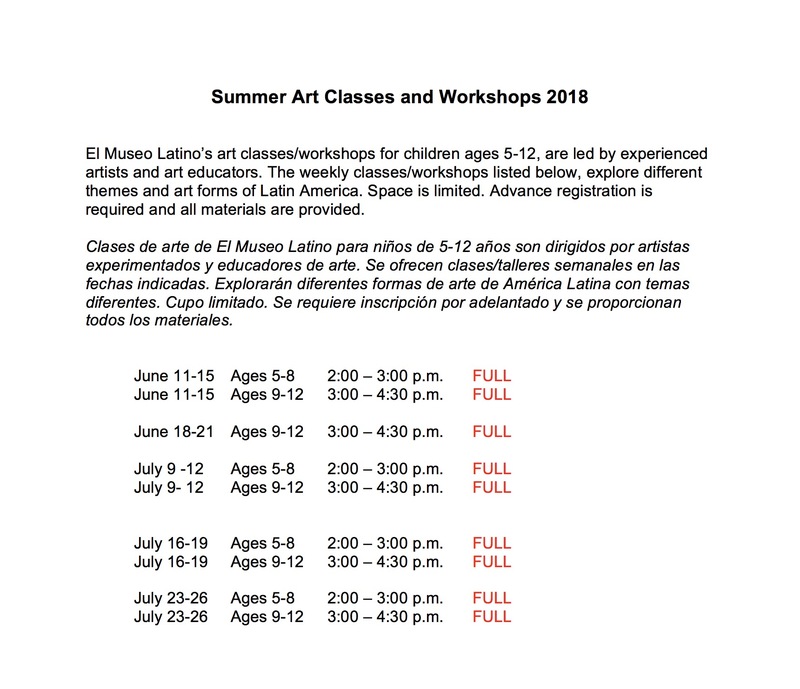 Programs offered include art classes, bi-lingual guided visits, scholarly lectures, workshops, demonstrations, hands-on art activities, artists-in-residencies, teacher in-service workshops, dance classes and Family Days. Periodically, art history classes are offered for graduate and undergraduate credit. The educational programs are designed for children, teens and adults. The bi-lingual programs are age specific and are offered in English and/or Spanish. The classes center around the art forms presented in the exhibitions and on traditional art forms of Latin America. Programs are scheduled throughout the year. To request information, please call the museum at (402) 731-1137.